The beauty of the Grand Canyon’s landscape is beyond words. Easily defined as one of the seven true wonders of the world, the Grand Canyon has amazed, inspired and struck awe in the hearts of travelers since time began. A mile deep, 18 miles across and more than 250 miles in length at the river the grandest of all canyons has to be personally viewed to take in the vast beauty. Tripps Travel Network states that pictures, videos or stories don’t do justice to the experience a visitor has while standing at the edge of this magnificence. Whether you choose to wake up before dawn and watch the sunrise over the red canyon walls or test your mettle on a strenuous hike to the bottom of the canyon, there is something for every visitor to the Grand Canyon. The Grand Canyon Village sits precariously perched high atop the South Rim of the Grand Canyon. With more than 4 million visitors to the park each year, the Village provides lodging and amenities for every adventurer. Cabins, hotel rooms, and camping spots are all available within the village. However, Tripps Travel Network recommends heading to the park early, as it is very popular and reservations fill up quickly. If you intend to stay within the village, start booking your reservations a year out from when you plan on going. This will spare you a headache and stress of missing your opportunity. If the Grand Canyon Village doesn’t entice you, there are plenty of other lodging opportunities to explore around the park. The North Rim of the Grand Canyon is only accessible by a few roads in the northwest corner of Arizona. The North Rim is also closed during the winter months due to the large amounts of snow that usually accumulate there. Tripps Travel Network states that the North Rim is just as spectacular as the South Rim and offers fewer crowds and as many hiking opportunities as the South Rim of the canyon. If hiking is your passion, this is the place to do it. The Grand Canyon offers hundreds of miles of trails for the novice hiker to the advanced hiker. The trails around the canyon vary from gently sloping paved trails along the rim to quad punishing switchbacks that scale the canyon walls and lead to river oasis at the bottom of the canyon. Take time to plan your route and watch the time of day you intend to hike. A Grand Canyon hike can amaze you with sunrise and sunset more beautiful than any imagined or it can challenge you with high average mid-afternoon heat. 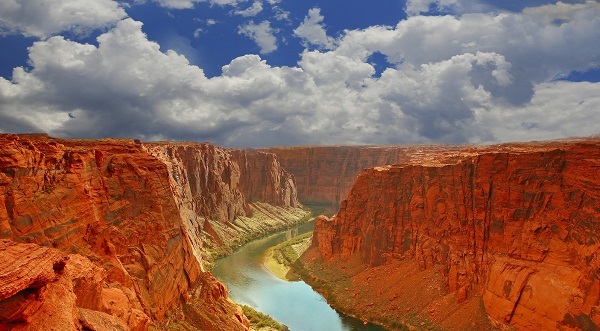 Tripps Travel Network offers these tips to ensure that you have a fantastic trip to the Grand Canyon.